United Way Ottawa honours Ottawa’s outstanding volunteers through its Community Builder Award program — those organizations, partnerships, agencies, neighbourhood groups and individuals who work tirelessly, passionately and collaboratively to make Ottawa a better place in which to live, work and raise a family. Nominations are accepted year-round and are reviewed with volunteers prior to the beginning of each year's program. If you think you know a Community Builder, complete a nomination form today. Ottawa, while holding a full-time job and caring for her family. 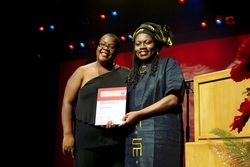 Noella served as the Vice President of United Black Women of Ottawa, and the Vice President of Fête Caribe. She’s been a Fundraising Coordinator at Robert Bateman School and Lead Organizer for the Ottawa Caribbean Associations Love for Haiti fundraiser. 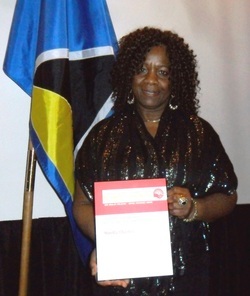 In the past decade, Noella has been both the Vice President and the President for the Saint Lucia Ottawa Association, spearheading several important events. She’s also belonged to various committees over the years, including the Caribbean Association Presidents Committee, the Parents Committee at Hillcrest High School and the SLOA fundraising team, that helped to rebuild St. Jude’s Hospital in Saint Lucia after Hurricane Tomas. She even made the trip to Saint Lucia to meet with the people affected by this natural disaster. fundraising events for the Eating Disorders Clinic at the Children's Hospital of Eastern Ontario and volunteered for the Snowsuit Fund, the Ottawa Food Bank and the Eastern Ottawa Resource Center. resolution, they turned that tragedy into a mission: to fight against the rise of youth violence in our community. The Dapo Agoro Foundation for Peace was formed and they have been living true to their mission ever since. Through the Scholarship Award for Peace, awarded to a graduating student at Lester B. Pearson who embodies the same peacekeeping spirit as Dapo, and awareness events they host, the Agoro Family is spreading peace in our community and across Canada. In 2012, in recognition of the difference the Agoro family has made, they received the Ontario Attorney General's Victim Services Award of Distinction. committee and produced the first study on the hiring of visible minorities and the training of police in Ottawa. He has volunteered with the Ottawa-Carleton police for the past 60 years and the RCMP for 26 years. 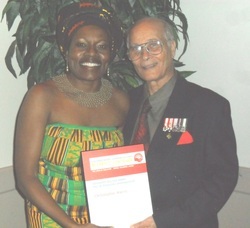 His dedication to the community has not gone unnoticed as Mr. Harris has received many awards, including the Order of Canada, the Order of Ontario, a Canada’s Citizenship Award, and The Queen Elizabeth Diamond Jubilee. The Order of Canada was created in 1967, during Canada’s centennial year, to recognize a lifetime of outstanding achievement, dedication to the community and service to the nation. Since its creation, more than 5 000 people from all sectors of society have been invested into the Order. 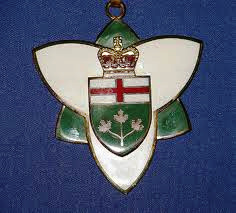 Created in 1986, the Order of Ontario, the province's highest official honour, recognizes the highest level of individual excellence and achievement in any field. Nominations are made by members of the public. 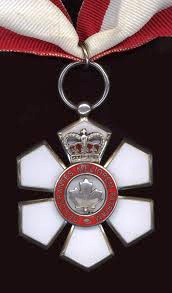 The deadline for 2012 nominations is March 16, 2012.
Who can receive this honour? A new commemorative medal was created to mark the 2012 celebrations of the 60th anniversary of Her Majesty Queen Elizabeth II’s accession to the Throne. The Queen Elizabeth II Diamond Jubilee Medal is a tangible way for Canada to honour Her Majesty for her service to this country. At the same time, it serves to honour significant contributions and achievements by Canadians. During the year of celebrations, 60 000 deserving Canadians will be recognized. The inaugural presentation ceremony of the Diamond Jubilee Medal will take place in February 2012. Be alive on February 6th, 2012, the 60th anniversary of Her Majesty’s accession to the Throne. The medal can be awarded posthumously, as long as the recipient was alive on that date. The nomination process will be posted at the website www.gg.ca at a later date. 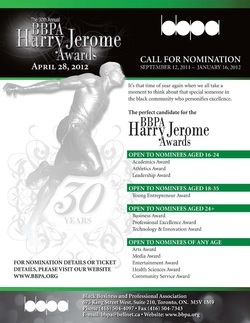 Presented by the Black Business and Professional Association, the BBPA Harry Jerome Awards celebrate outstanding achievements within the African-Canadian Community. It is the most presitigious event of its kind in Canada. The awards are named after the late Harry Jerome, an outstanding sprinter who set several track-and-field records during the 1960's and represented Canada in the Olympics, Pan-American Games and Commonwealth Games.